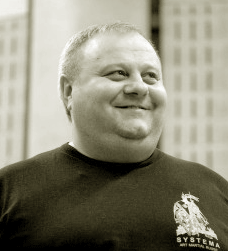 Welcome to an official site of Moscow Aikido Club "Senkai"! Our Club unites people actively indulged in Aikido, and also who are interested in various spheres of the Japanese culture. Here you can learn about the life of our Club, Aikido training schedules, latest news in Aikido world and Russian Aikido Federation, where our Club is a member, and also about the outlined actions of Russian Aikido Federation. Photos and videos from seminar Ikeda Sensei and Ryabko M.V. which was held in Moscow on 2-3 February 2013 prepared. You can download the material data is completely free for one month. All pre-registered participants will receive an email with a link to download. Upon expiry of the storage file access will be restricted. 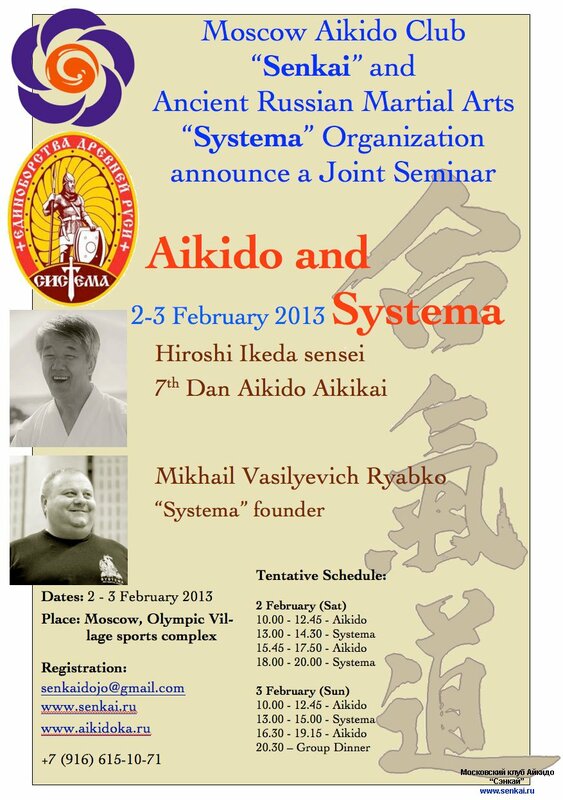 Moscow winter Aikido and Systema seminar under the direction of Hiroshi Ikeda Sensei and Mikhail Ryabko passed. I hope that this event liked to all attendees of seminar. I want to thank all the guys who helped me in organizing a seminar in recreational Hiroshi Ikeda and other foreign visitors. Work was done just a tremendous and without your help I would never have managed it. Hiroshi Ikeda asked to convey greetings to all the participants and expressed his hope to see you soon with you in other events. He also asked everyone who was at the workshop to write a few words. From 8 to 9 December 2012. at Moscow, Lilac Avenue, 2 page 3, Universal Sports Complex Zreleschny RGUFK, will be held All-Russian Festival of Aikido. All followers of Aikido to take part in training sessions and demonstrations of the program of the festival. The position of the festival is also a challenge for participation. Those interested can sign up until 26 November 2012. Qualifying examinations for applicants Aikido for 5-6 kyu and are held at the Winter School on 14-16 December 2012 at the Luzhniki Stadium. As we reported in the guide hall Altufyevskoe sh., In the hall under renovation due to the replacement of lighting. Because of this we have lost employment in these days. Maybe Monday classes will be, but questionable. To find out if classes in the afternoon with an instructor pn.svyazhites group. 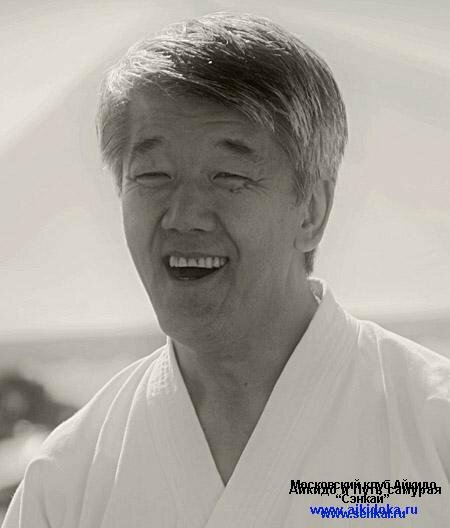 Mae sikko - irimi t.
The Moscow club of the Aikido of "Senkai" invites you to Aikido employment in general or in litle Aikido groups. Aikido class for children and adults. Aikido trainings spend skilled the aikidoinstructors. 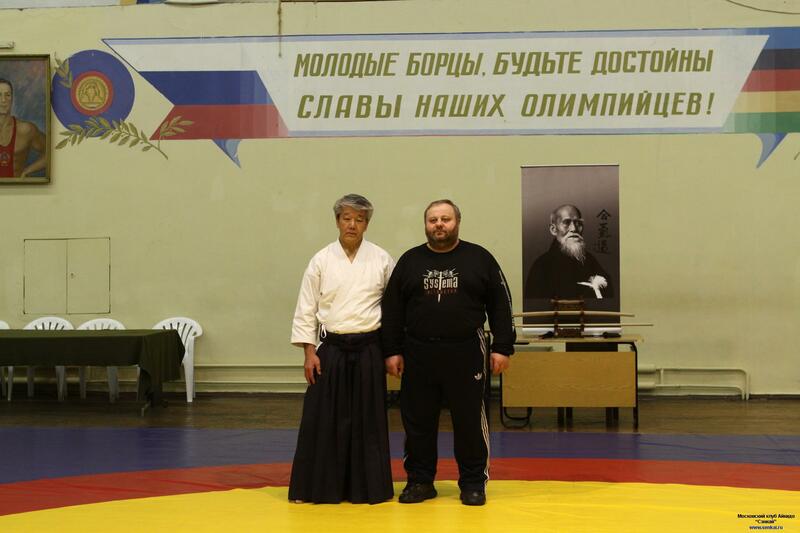 Moscow club of aikido "Senkai"